Hazro TV , Picture Of Chhachh ,Pics of Chhachies: Rush hours of Formili Mallah Adda (Western Chhachh). Rush hours of Formili Mallah Adda (Western Chhachh). Picture was captured in rush hours of Formili Mallah Adda (Western Chhachh). 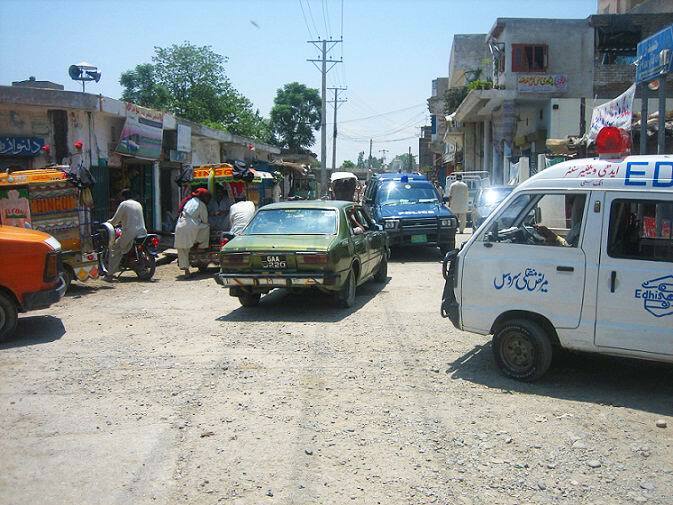 An Ambulance of EDHI Welfare Center (Attock Branch) is going back to its destination after forwarding patients in Haidra. Police Mobile Van is also going back to PHP Post Shadi Khan, located on the bank of Indus River. Mallah Adda is a busiest Chowk for the villages around this area.